At Eastside Natural Health Clinic, we are dedicated to providing the highest quality naturopathic medical care to our community. We focus on creating a partnership between patient and physician. We educate you about your health care options and involve you in the decision-making process. I am motivated to help people and offer them strategic solutions for their healthcare. Twenty years ago, I was inspired to become a Naturopathic Physician after studying botanical medicine. I like the fact that Naturopathic Medicine is well grounded in a tradition that uses natural medicines to heal. I agree with the philosophy of Naturopathic Medicine. I was inspired by my own family members in Germany who actively used Natural Medicines. I grew up in a family that valued whole foods, being outside, and being physically active to stay healthy. I grew up in Iowa City, IA and went to college in Grinnell, IA. I graduated in 1987 with a BA in French. I was introduced to Herbal Medicine while living in San Francisco, CA in 1989. This interest lead me to to enroll in the Naturopathic Medical program in Portland, OR. The National College of Naturopathic Medicine was a vigorous four year medical program. I came to respect and learn in depth numerous natural medicine approaches. This included homeopathy, nutritional medicine, hydrotherapy, and botanical medicine. I completed the program in 1996. In that same year, I was accepted in the one year residency program at Bastyr University, in Seattle, WA. As a young resident physician, I witnessed many patients benefit from Naturopathic Medicine. I practiced for one year in Montrose, CO before moving to Utah in 1997. The Eastside Natural Health Clinic was founded in 2000. Over the years, I learned so much from my mentors and patients. I am grateful to offer this unique blend of medicine which incorporates conventional medicine knowledge with traditional Naturopathic medical wisdom. I like to keep up-to-date with the latest developments in the field of integrative medicine. I enjoy being active in the mountains during all seasons. I practice yoga regularly, go camping with my family, and travel to beautiful places. Naturopathic doctors must attend a four-year post-graduate naturopathic medical school and pass rigorous examinations to earn a Doctorate of Naturopathic Medicine degree and become eligible for licensure. The first two years of their education is very similar to that of a medical doctor’s. In Utah, Naturopathic Doctors are required to complete one-year post-graduate medical residency to become licensed. We now have 14 states who grant licensure to four-year educated naturopaths with several more states in the licensure process: Washington, Oregon, Montana, Utah, Idaho, Arizona, Connecticut, New Hampshire, Vermont, Maine, Alaska, Kansas, California, and Hawaii. Each of the licensed states has different regulations for how naturopaths can practice. In Utah, Naturopathic Doctors are licensed as primary care physicians and can prescribe certain medications such as antibiotics, hormones, and anti-fungal medications if necessary (not a complete list). Lab work is often ordered to further assess the health condition. To find out more about Naturopathic Medicine and Naturopathic Medical education. Go to the American Association of Naturopathic Medicine website. Our bodies have the inherent ability to maintain and restore health. Naturopathic medicine uses natural medicines and therapies that are in harmony with natural processes, preferring non-invasive treatments that minimize the risks of harmful side effects. Naturopathic medicine tends to focus on the following to facilitate the healing process: supporting the immune system function, detoxification, identification of food allergies, restoring optimal gastrointestinal function, balancing the endocrine system, enhancing mental/emotional health and improving ones nutrition and lifestyle overall. Naturopathic physicians cooperate with all other branches of medical science referring patients to other practitioners for diagnosis and/or treatment when appropriate. To learn more about what the Eastside Natural Health Clinic has to offer go to the Services page. We help you to create a dietary style unique to you and your health condition. 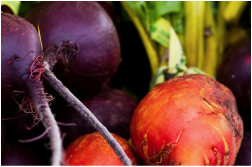 We may suggest dietary changes based on your blood type, food allergies, specific medical condition, or energetic constitution. In addition, we may support you and advise you on any personal dietary preferences you have chosen for yourself. The use of specific nutritional supplements may also be utilized. We prescribe professional-quality supplements, not typically available on the retail market, which are sold directly to you from our office. We also make specific diet recommendations such as including foods that support your liver function or your cardiovascular system. I have used herbal medicine for over twenty years. 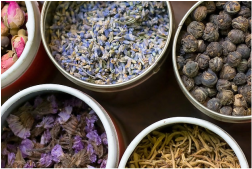 My initial interest in medicinal herbs is what motivated me to become a Naturopathic Doctor. I create acute custom formulas everyday for such conditions such as: upper respiratory infections, urinary tract infections, colds and coughs. For patients with more chronic conditions, I have created tonics to calm the nervous system, induce flow of the lymphatic system, treat a congested gallbladder or sooth the digestive system. At the Eastside Natural Health Clinic I have an herbal medicine dispensary of over a hundred liquid herbal preparations called tinctures. From this selection I often combine three to seven medical herbs to create custom formulas for my patients. These customized herbal formulas can target specific conditions nicely. These formulations have helped patients with their anxiety, depression, or insomnia. Examples of formulations include: Lung Tonics and Upper Respiratory Tonics. These have helped patients calm their asthma or hay fever. For women patients, I have created Hormonal Balance formulations and Pelvic Decongestant tonics, to help normalize irregular cycles or help treat ovarian cysts and endometriosis. I enjoy using herbal medicines because they can be so effective. I have used herbal medicine for over twenty years. My initial interest in medicinal herbs is what motivated me to become a Naturopathic Doctor. I create acute custom formulas everyday for such conditions such as: upper respiratory infections, urinary tract infections, colds, and coughs. For patients with more chronic conditions, I have created tonics to calm the nervous system, induce flow of the lymphatic system, treat a congested gallbladder, or sooth the digestive system. These customized herbal formulas can target specific conditions nicely. These formulations have helped patients with their anxiety, depression, or insomnia. Examples of formulations include: Lung Tonics and Upper Respiratory Tonics. These have helped patients calm their asthma or hay fever. For women patients, I have created Hormonal Balance formulations and Pelvic Decongestant tonics, to help normalize irregular cycles or help treat ovarian cysts and endometriosis. I enjoy using herbal medicines because they can so effective. This distinct form of medicine was established 200 years ago in Germany by Samuel Hahnemann, MD. Homeopathy is a specific type of energetic medicine that is based on the concept that "like treats like". The medicines act by stimulating the "vital force" of the body to bring about a healing response. We use homeopathy to treat children both acutely and constitutionally. It also works well for adults and for treatment of mental emotional imbalances. Dr. Knorr incorporates a variety of traditions in his hands on work. 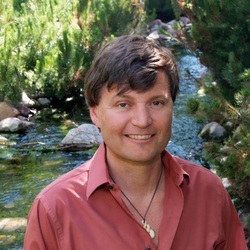 He has training in Cranio-Sacral Therapy and Naturopathic Manual Therapy. He listens with his hands to identify the holding patterns within his patient’s bodies. He uses the technique of unwinding to free up the range of motion of these holding patterns and in the joints. He works intuitively to understand the energetic flow and the areas of stagnancy in the body. A series of sessions are often helpful in chronic conditions. These help treat and address the deeper layers of dysfunction which often reside within the patient’s mind-body and emotional-body. How is a Naturopathic Doctor different from a Conventional Physician? Dr. Knorr’s goal is to understand the cause of his patient’s ailments in order to create an individualized treatment plan. He does order conventional blood work, often an expanded panel, and considers other testing such as saliva, urine, or stool testing. Lifestyle and nutritional assessments are core treatment considerations for Dr. Knorr - these are rarely considered or implemented by conventional physicians. Dr. Knorr is a licensed Naturopathic Physician in Utah and has completed a four year medical education along with a one year residency. Dr. Knorr spends time with his patients. Dr. Knorr treats his patients who have a diagnosis, as opposed to the frequent conventional approach, which just focuses on treating the diagnosis. Dr. Knorr’s approach is holistic as opposed to a reductionistic. The later is more typical conventional approach. Looking at a broad array of health influences includes past stressors or insults, family medical history, nutritional and lifestyle evaluation and genetic evaluation when needed. Dr. Knorr is not a contracted provider for health insurance companies. Our experience lately has been that insurance companies have become less likely to cover naturopathic medical services. Some insurance companies have out-of-network benefits. If they do, then the next question is whether your company has specific exclusion clauses for Naturopathic Physicians. We will provide necessary paper work, upon request, if you would like to submit a claim. Does my insurance cover my conventional lab work? Yes, for the most part. We can not guarantee coverage, yet, our experience has been that the majority of patients do get their conventional blood work covered by their insurance. This, of course, always depends on your specific plan and deductible. The majority of IHC labs do get covered. How do you diagnose your patients? Dr. Knorr takes a thorough medical history, physical exam, and laboratory assessment to diagnose his patients. Specific symptoms often suggest a diagnosis, a nutritional deficiency, or need for a homeopathic remedy. Dr. Knorr will often recommend a therapeutic trial, a diet or specific medicine regime, and then make a retroactive diagnosis when a patient is feeling better. He also works on an intuitive level, which is an additional means of assessment. Dr. Knorr prefers to use natural medicines but does not hesitate to use a prescriptive medication, such as an antibiotic or anti fungal, when indicated. He uses a lot of herbal medicines and nutritional medicines, because he has seen them work effectively for his patients. Dr. Knorr likes to use what works. Physical exams are performed on a regular basis. If you have a form to fill out please bring it along to your visit. What can I do to get ready for my first appointment? Here is what you can do! Write down your intention for the visit, and a short summary of your illness. If you have copies of previous lab work, bring them in. This is very helpful. Literally bring in all your prescriptive and self prescribed natural medicines. List your top three health concerns. You can expect a focused and detailed visit about your health concerns. A review and assessment of your lifestyle and nutritional habits will be done. If you have past lab work and medicines these will be reviewed. Recommendations for testing, assessment, and an initial treatment plan will be made. Can you prescribe prescriptive medication? Yes. Patients frequently need better management of their current medications. Selected medications can often be discontinued once specific treatment plans have been implemented. Dr. Knorr manages his patients’ medications frequently. He can manage and prescribe these prescriptive medications. Dr. Knorr performs energetic testing on natural medicine before recommending them to his patients. He finds that this helps him find the specific medicines that will best fit his patients’ needs.